The Blind Sports NS Tandem Bike Club loves nothing more than connecting people with cycling, whether it’s been years or you’ve never been on a bike before. It’s a fun way for those with any level of vision loss to get active in the great outdoors, with family and friends old & new. We make a fleet of tandem bikes available for short & long term loan as well as access to a roster of trained volunteer pilots. A tandem bike is a bicycle built for two. A person with vision loss rides in back and is referred to a stoker. The pilot or captain rides up front and steers and changes gears, while communicating effectively with and guiding the stoker. Our volunteer pilots are experienced, confident, cyclists, who’ve been trained in tandem cycling best practices, sight loss etiquette, sighted guide, and more. 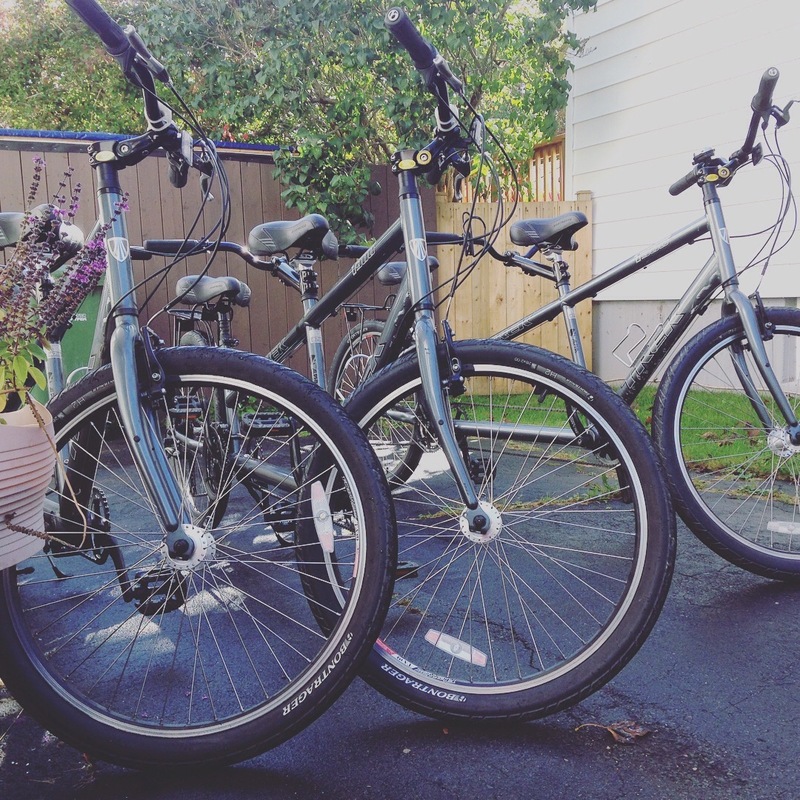 Our fleet of bikes are equipped with bells, lights, reflectors, and racks. They are consistently maintained by an experienced bicycle technician. If you’re blind or visually impaired, you can loan a bike, take it where you like, and engage one of our volunteer pilots or your own pilot, can be a friend or family member, but should always be someone you trust. 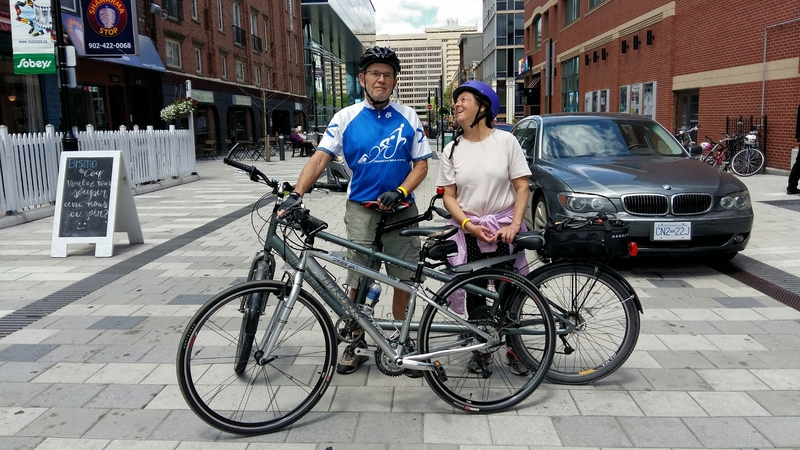 We offer training to get you familiar with tandem biking, best practices, and the chance to give tandem biking a try in a safe environment with experienced cyclists with & without vision loss. It’s free for anyone with vision loss try tandem biking. We offer helmets with each loan at no charge. An annual $30 Membership is required for insurance and liability purchases and gives you access to our tandem bikes, training, and our volunteer pilot roster for the whole year. From about April to October, we host super fun group rides along the Chain of Lakes, BLT, St Margaret’s Bay Trails and more. We offer shorter rides for those just getting their feet wet to rides that take all day or all weekend and it’s free to participate. Our bike technician is on hand at each group ride! 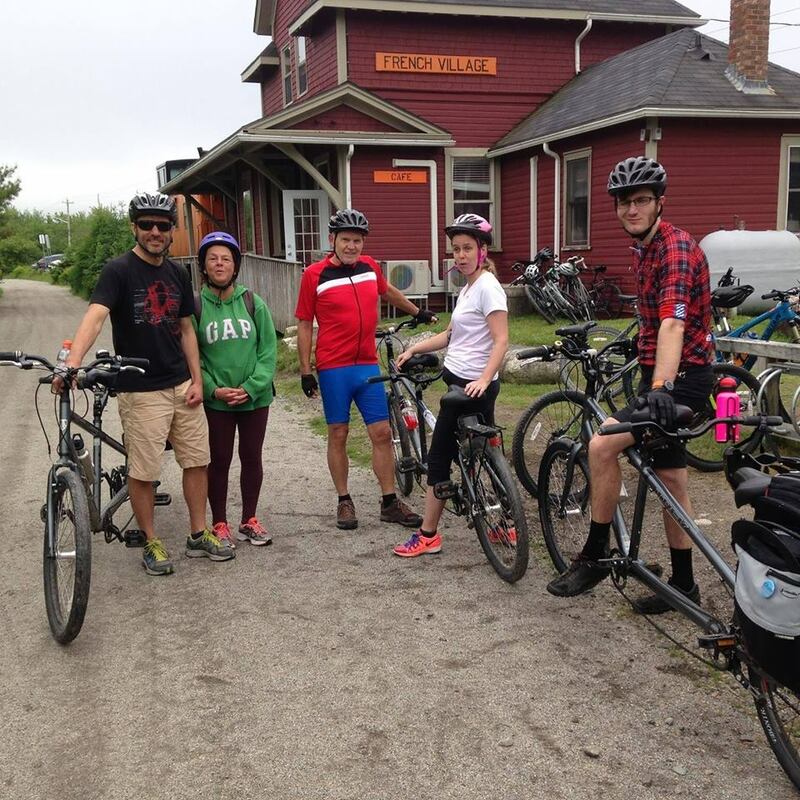 We LOVE the Bike and Bean and take the 50 kilometre round trip ride from Halifax at least a few times each season. Are you an experienced and confident cyclist? Want to help us share the joy of cycling with those with vision loss, while having a great time? We sometimes need help transporting these bikes, which usually requires a truck. If you want to join the roster for individual rides, group rides, or as a driver, we’d love to hear from you!